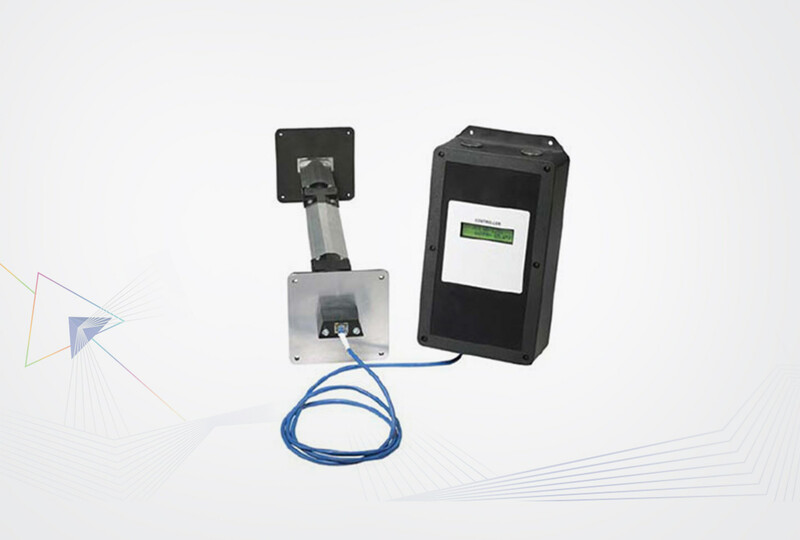 The AV-ASTNN Thermal Dispersion Probe Airflow Measuring System Series averages velocity and temperature from up to four probes and sixteen sensing points in a duct or plenum, providing accurate, dependable airflow measurement from 40 to 4,000 Feet Per Minute (FPM) (12 to 1,219 Meters Per Minute [MPM]) within ±2% accuracy. At each sensing point, a microprocessor calculates flow and temperature, sending this information to an Integral Multiplexing Unit (IMU). The IMU collects data from each sensor circuit and sends a digital output to the control transmitter. 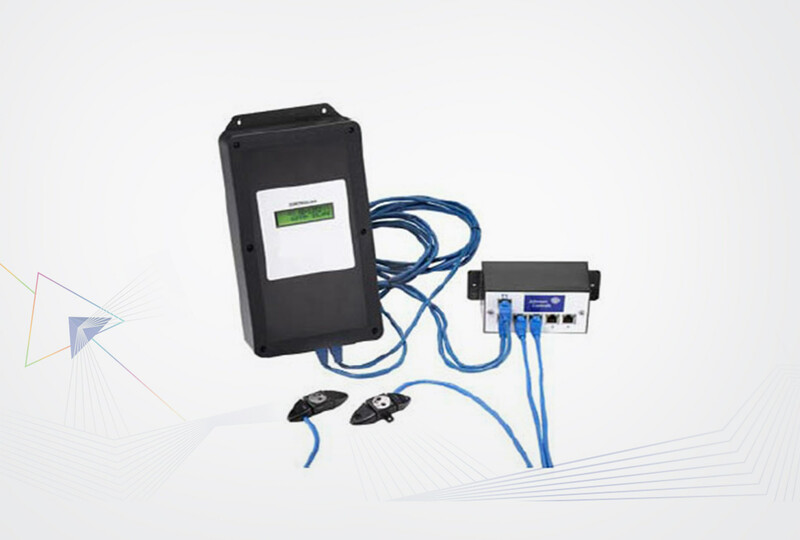 The control transmitter provides air temperature and velocity information on an LCD screen and to a Building Automation System (BAS) through analog outputs (2 to 10 VDC or 4 to 20 mA). The AV-RA Series averages velocity and temperature from fan inlet sensors in a duct or plenum, providing accurate, dependable airflow measurement from 0 to 10,000 fpm (0 to 50.8 mps) within ±2% accuracy. 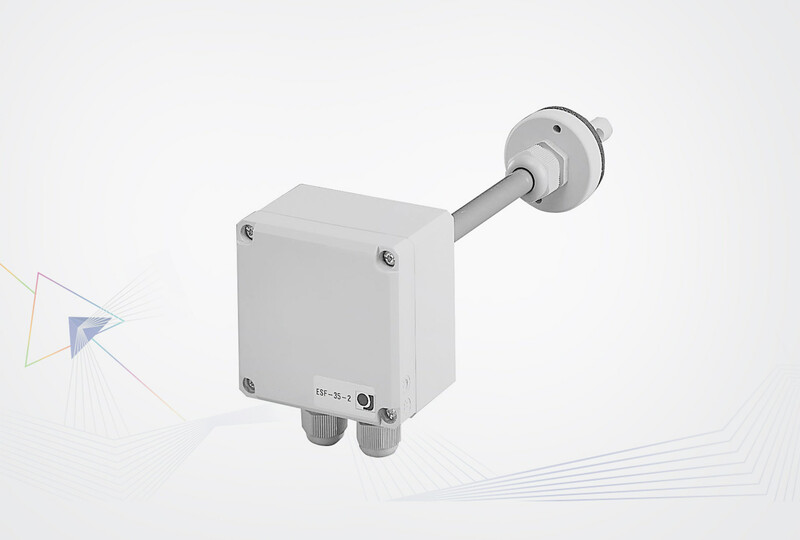 The AV-RA Series averages velocity and temperature from fan inlet sensors in a duct or plenum, providing accurate, dependable airflow measurement from 0 to 10,000 fpm (0 to 50.8 mps) within ±2% accuracy. Each sensor circuit is connected to a router that stores the calibration data. The router’s microprocessor calculates flow and temperature and sends this information digitally to the Electronic Controller, which provides air velocity and temperature information on an LCD screen. The transmitter sends the output to a Building Automation System (BAS) through 4 to 20 mA or 2 to 10 VDC analog outputs (using a 500 ohm resistor) or a 1 to 5 VDC analog output (using a 250 ohm resistor).